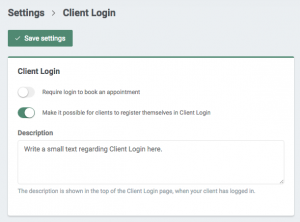 Client login is a function that appears in your online booking form. 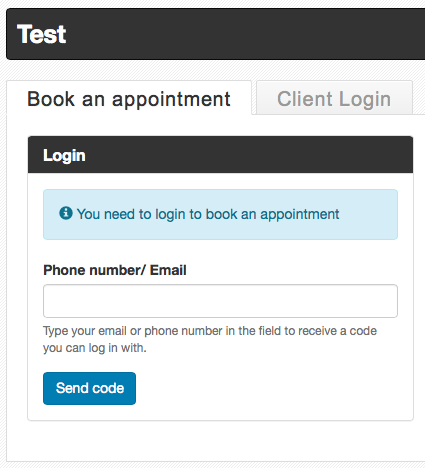 When one of your clients has a client login, they can book or cancel an appointment all by themselves. 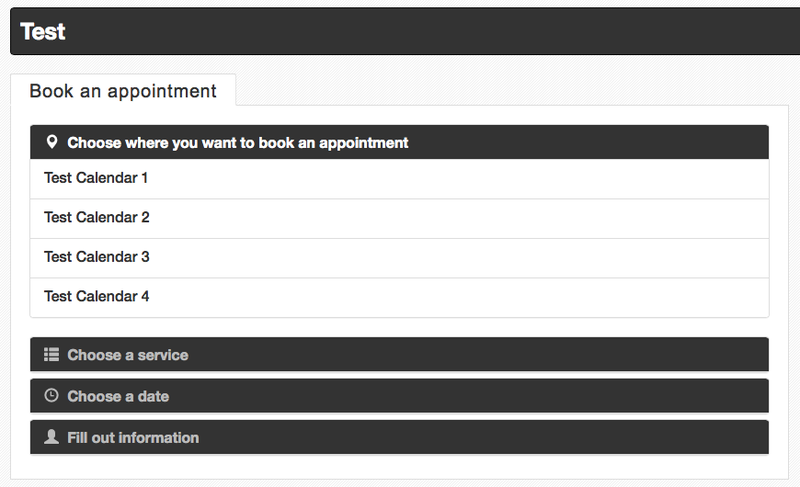 You can choose to have client login as an option, required or even unavailable, when booking an appointment in your practice. You can fix that in the ‘Settings’ section under ‘Client Login’. Below is a brief description of all three options. When Client Login is optional, it is up to your clients whether or not they want to login or not. Just tick the box ‘Activate Client Login’. You can also choose if your clients should be allowed to create their own login – then you have to tick the third option as well. If not, they will need to be registered in your client list in order to log in.